With the help of Raahul, we have another lecturer from Spain, Juan Luis Rubiales. 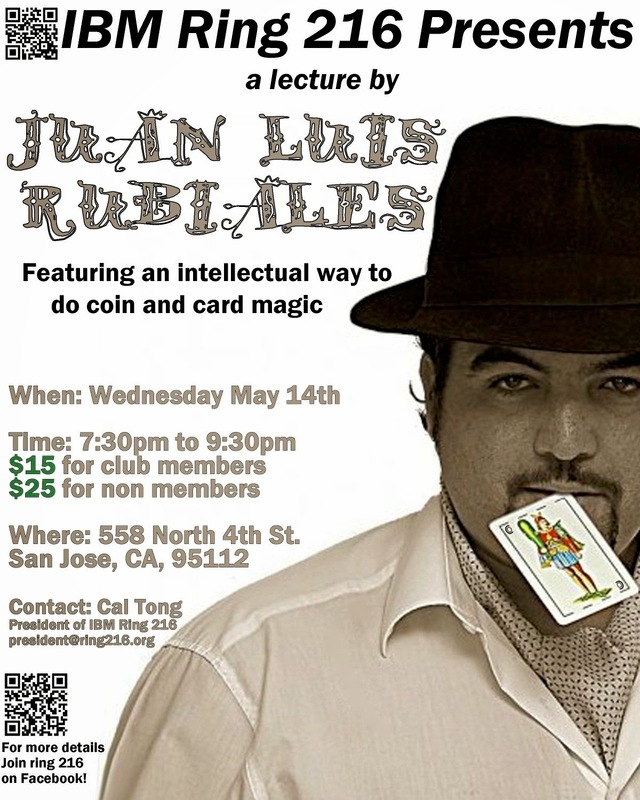 Until now, magic with coins has always been more technical than intellectual, in this lecture Juan Luis Rubiales gives his unique touches with this kind of magic to make it more accessible to your spectators. Revamped methods under the clear influence of Dai Vernon through his writings and Juan Tamariz, as his direct teacher. But not just this, he also will teach a few of his card magic works, works from his studies at the prestigious Escorial convention, like his version of "triple coincidence" by Tamariz... 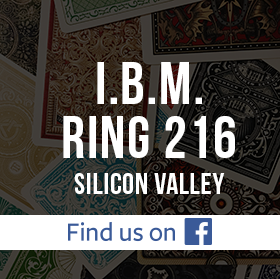 BUT with a bound deck, stabbed cards, card in the glob and a few bits more that make us believe in real magic.